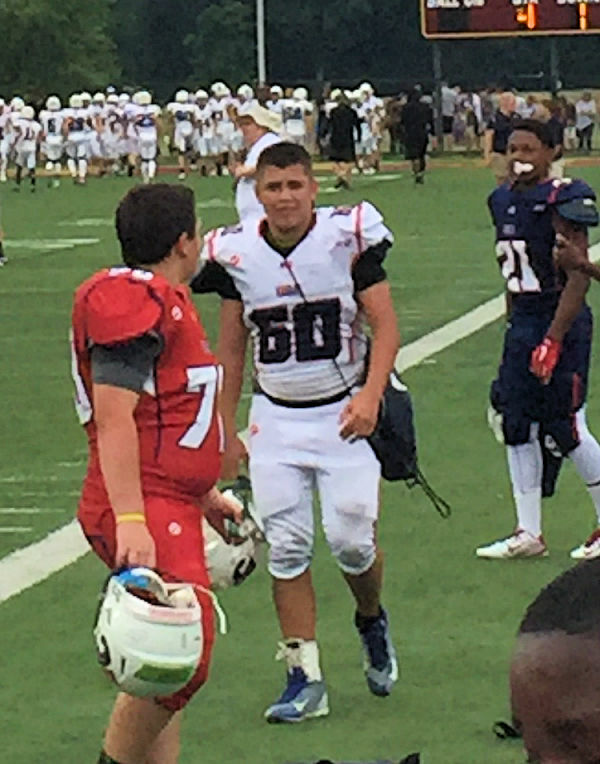 on the National Stage with USA Football. 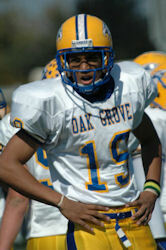 Kyrie Wilson (Fresno State) former GEYF Wolverine Player Signed with the Oakland Raiders. Jared Norris former GEYF Falcon Player Signed with the Carolina Panthers. After reading Clay Farr’s Feb. 10 Community Voices article, “Ban youth tackle football and keep our kids CTE-free,” I felt compelled to separate fact from fiction for readers. For well over 50 years now, youth tackle football has been a cornerstone of Kern County athletics. It’s steeped in rich tradition and local history and it positively impacts the lives of thousands of young athletes. On the heels of the recently released movie “Concussion,” and through personal anecdotal experience, Farr was quick to criticize youth tackle football coaches and to point out his concern for the safety of our children by referencing Chronic Traumatic Encephalopathy. In fact, The American Academy of Pediatrics, representing over 64,000 primary care physicians and other health care professionals, sets no limits as to when our children should begin playing tackle football and realizing its rewards, so long as important standards are in place. It is clear that there is an inherent risk of injury in all types of physical activity such as bike riding, cheerleading, soccer, lacrosse, and yes, flag and tackle football, among many others. Regardless of the activity, proper teaching of safe and proven fundamentals is paramount to injury prevention and safety as a whole. Over the past five years, there has been tremendous growth in the number of local youth tackle football coaches certified through USA Football’s Heads-Up Tackling Program, and our community is seeing that benefit come to fruition. USA Football and its local affiliates have really helped reshape our local youth tackle football landscape through their comprehensive, progressive instruction and certification model. In addition, research from the Datalys Center published in the Orthopedic Journal of Sports Medicine in July 2015 found young football players are less likely to be injured or sustain a head injury when their coaches are trained in teaching proper tackling fundamentals. Leagues that took part in Heads-Up Football had a 76 percent reduction in juries. Furthermore, leagues that adopted the Heads-Up Football program had a 34 percent reduction in concussions during practices and a 29 percent reduction of concussions during games. In 2015 nearly 6,500 youth tackle football leagues around the country registered through USA Football’s Heads-Up program, a number that equates to about 70 percent of all U.S. youth tackle football leagues. Farr’s polarizing attempt to somehow draw a connection between what he may have seen on the Esquire Channel’s “Friday Night Tykes” vs. what actually occurs in the majority of youth tackle football settings is a bit reckless and inaccurate, and it detracts from what progress has been made in the sport both locally and on the national level. Inflammatory generalizations can discredit individuals who generously give their time to benefit children in a wide range of sports. To be fair, there are obviously youth coaches in all sports that have no business serving as mentors to our children and, quite frankly, give coaching a bad name at all levels. What is often underreported is how the sport of football, regardless of age, positively impacts and changes lives, instills self confidence and citizenship and promotes physical and mental fitness. With the continuing advancement in protective equipment, injury prevention and early recognition, as well as consistent, proper teaching techniques, combined with continued coaching education, it is my belief that youth tackle football is safer now than it has ever been. 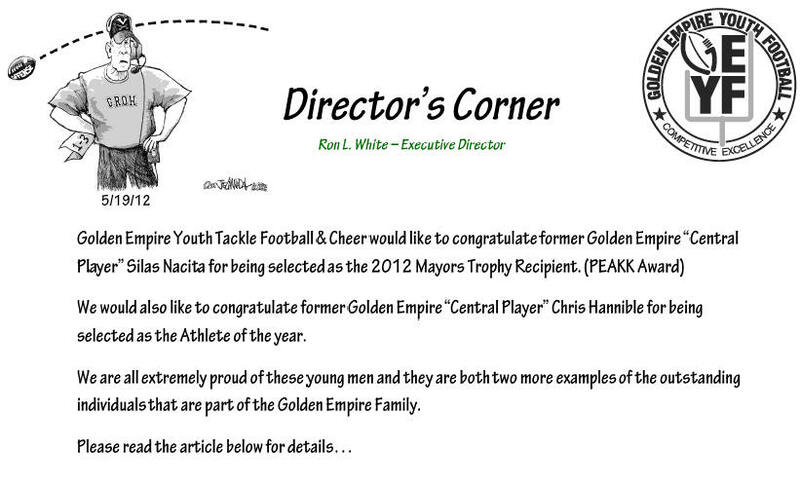 Ron White is the Executive Director of Golden Empire Youth Tackle Football. He has more than 30 year experience in this field as a coach, administrator, league president and board member. White is a former youth, high school, and junior college tackle football coach and former player. Empowering women is nothing new for Brittany Rivera and her mother, Arlene Anion. Long before the idea of brining a semi-professional women’s football team to Bakersfield occurred to them, the ambitious duo created the Women’s Empowering Network, a local organization dedicated to assisting local female entrepreneurs pursue their passions and dreams. 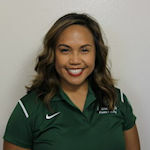 While Rivera was raised playing football in Bakersfield, she had her first tackle football experience in the Independent Women’s Football League while a student in Sacramento. She played receiver and defensive back. But it was only after returning to Bakersfield when she knew that something needed to change. “I moved back to Bakersfield after living in Sacramento and I just knew I had to play again,” Rivera said. Although it took a lot of thinking, Rivera and her mother decided to purchase a franchise from the IWFL earlier this year, and they have self-financed the entire enterprise. Having come from a strong military family, toughness comes natural for Rivera. Anion and her husband are U.S. Army veterans, and Rivera’s sister is actively serving. Though Rivera is co-owner of the team, her intention is to try out and earn her spot. 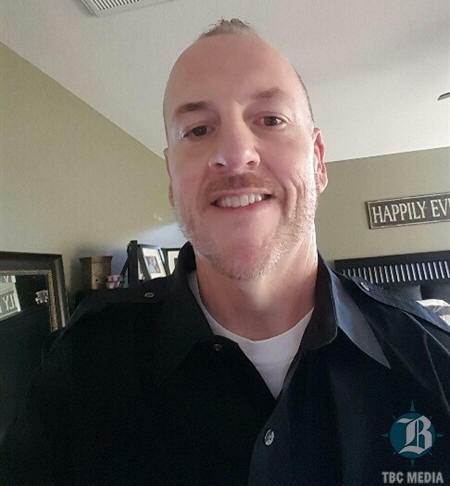 The Bakersfield Bombers will have a roster comprised of team members who live in the Kern County area, each with a different range of football experience. But deciding to own a women’s team in a sport that is male dominated has invited much criticism. Some robustly argue that if a professional men’s team cannot be maintained – referring to the Bakersfield Blitz, which dismantled in 2007 – then a women’s league shouldn’t be expected to flourish. As a member of the IWFL, which is distinct from the Legends League, the Bakersfield Bombers will be fully dressed and padded. The tentative kickoff date is sometime in April, but Rivera and Anion will meet with the league in Texas in November to determine next year’s schedule. The IWFL is a nonprofit women’s tackle football league founded in 2000. It consists of 36 teams across North America and has more than 1,600 female athletes. If you’re interested in supporting the Bakersfield Bombers or seeking more information, contact Rivera at 330-9143 or visit bakersfieldbombersfootball.com. In the mind of a young football fan, few things are sweeter than a perfectly thrown spiral, breaking the last tackle before the end zone or making the game-saving stop at the goal line. They are truly the stuff of football dreams, and one local organization is giving area youth a head start at making those dreams realities. The Golden Empire Youth Tackle Football and Cheer Program was formed in 1998 out of a desire to create a competitive feeder program that could better prepare kids for high school football. Over the last 18 years, the program has grown to over 3,000 participants playing and cheering on 18 teams, each acting as a feeder team for an area high school. Teams are made up of players who live within the school’s enrollment area and practice on the high school’s field. In addition to making better football players, White says the program has players rely on one another as part of a team, which develops discipline, sportsmanship, commitment and respect. 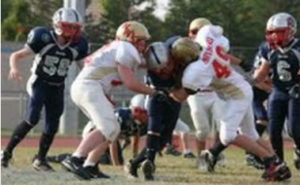 With any contact sport, safety is a primary concern, and GEYF makes the safety of its players a top priority. In addition to the program’s own training, all GEYF coaches must be certified by USA Football, a national organization devoted to training coaches in safety. The program also prides itself on making sure each player plays in high-end equipment that is individually fitted for each child. According to White, the true strength of the program, both on and off the field, is the program’s nearly 500 volunteer coaches and staff members. One of those coaches, Kraig Gradowitz, varsity coach of the Southwest Mojo, the feeder team for Stockdale High School, started coaching in 2007 when his oldest son became interested in playing. Like White, Gradowitz believes there are valuable life lessons to be learned from football. Teams normally start holding tryouts as early as March, with the season beginning in September and culminating in playoffs and a bowl game in December. Last year the program instituted a rookie division for players as young as 6 years old, in addition to its freshman (8-9), sophomore (10-12), junior varsity (11-13) and varsity (12-14) divisions. Both male and female players are welcome. Eight years ago, in the Golden Empire Youth Football league, there was a feeling that there was something special going on. There was a handful of running backs making cuts and running over and around the rest of the competition. The future seemed bright. Those little tikes are now closing out their high school careers this fall, and as impressive as they were as 10-year-olds, they’re even more of a sight to see now. Those “little guys” — Sheldon Croney, Marcus Bruce, Anthony Mariscal, Isaiah Sharp and Matt Smith — now are the leaders of what is one of the best overall running back classes in Kern County history. Yes, there have been fantastic individual seasons: Steve Wofford at Bakersfield, the county’s leader in career rushing yards with 7,100 from 1992-1994; Ryan Mathews with his incredible 3,396-yard, 34-touchdown performance as a senior at West in 2006; and most recently, Cody Shirreffs’ 2,317 yards for Taft in 2009. But this group, diverse and deep, is special, and the players are enjoying the end of their impressive run here at home. Smith, an imposing presence at 6-foot-3 and 235 pounds, has rushed for at least 1,300 yards in each of his three seasons for the Eagles, including 1,694 yards and 24 total touchdowns as BCHS went to the CIF Division IV state championship game a year ago. 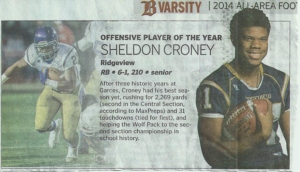 Sheldon Croney, now at Ridgeview, has the best overall season of the group after rushing for 2,377 yards and 28 scores for Garces last fall. A transfer brought Croney back to his neighborhood school for his last prep season. Looking back at the years playing against his fellow seniors, Croney said it has been a blast to be a part of this impressive group. Isaiah Sharp was an all-state performer as a sophomore for Wasco in 2012. His 2,317-yard, 34-touchdown performance helped lead the Tigers to a 13-0 record. Injuries kept Sharp off the field for half of last season, but he still managed 889 yards in six games on an out-of-this-world 16.94 yard-per-carry average. Bruce’s numbers at Bakersfield aren’t as shining as the other seniors around the city, but his leadership and athleticism has made him a third-year starter for the Drillers. Teamed up fellow senior Lameshio Hill, Bruce likes the fact that the two get to battle it out daily in practice together for the defending D-I state champions. Mariscal, the only one of the bunch so far that has verbally committed to play college football, might very well be the fastest of the bunch, too. 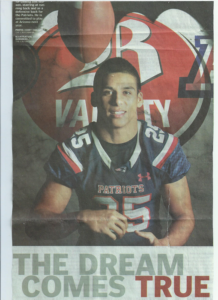 Headed to Arizona as defensive back, Mariscal led Liberty a year ago with 1,089 rushing yards and 11 touchdowns. The toughness and selfishness that Mariscal plays with was evident in the final game last season. In a playoff loss to Clovis, Mariscal couldn’t play offense after dislocating his elbow. But he still made an impact on defense, intercepting a pass, and, with his left arm dangling to his side, zooming past the Cougars for the score. Healthy now, Mariscal sees a future for this group of backs: To finish out their stellar prep careers and shine on the big stage at Division I college programs. Smith and Croney have both been on the radar of many colleges, with Smith pulling in offers from Colorado State, Utah State and UC Davis while Croney has a Pac-12 offer from Oregon State to go along with seven other offers. As all of Kern County football fields still boast the old-school grass fields that the rest of California has stopped using in the last decade, it makes sense that the offenses here are geared around a three-yard burst and a cloud of dust. Or, thanks to the unreal talent of these backs, it’s more like a 20-yard scamper with a juke, a stiff-arm and defenses left in the rearview mirror. We are all very proud of you! A workhorse running back who averaged 7.6 yards per carry to amass 1,252 yards and 19 touchdowns, the Arizona recruit was even more valuable on defense, where he scared offenses away from him and still had 74 tackles, two forced fumbles and a team-leading eight passes defended. After three historic years at Garces, Croney had his best season yet, rushing for 2,269 yards (second in the Central Section, according to MaxPreps) and 31 touchdowns (tied for first), and helping the Wolf Pack to the second section championship in school history. One of the most versatile players in the county, Bruce makes the most impact on defense as a linebacker who racked up 120 tackles, including 5 for loss. Bruce, who has scholarship offers from San Jose State and UNLV, also ran for 1,194 yards and 15 touchdowns, caught two TD passes and even threw for one. 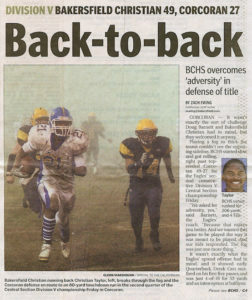 A year after tying the Central Section record for touchdown passes, Jones had quite an encore, throwing for 3,522 yards, 36 touchdowns and 11 interceptions and leading BCHS to a share of the SSL title and to the Division III semifinals. The transfer from rival Shafter shined in his one year as a Tiger, running for a county-leading 2,376 yards and 21 touchdowns while averaging more than 8 yards per carry. He surpassed the 200-yard mark in seven of Wasco’s 11 games. The big-play running back averaged 8.2 yards per carry and led North back to the playoffs by rushing for more than 200 yards in three games, including a 270-yard effort in a playoff win over Wasco. Threlkeld finished with 1,645 yards and 21 touchdowns. His receiving totals of 1,131 yards and 14 touchdowns were easily tops in the city. The tall transfer from Stockton-Brookside Christian became Brandon Jones’ go-to outlet for big plays. Will play football at Yale. Previously known more for his basketball prowess, Scott exploded onto the D-I recruiting scene with a highlight-filled season that included 37 catches for 902 yards and 9 touchdowns. His leaping ability and speed made him a tough cover for all but the very best cornerbacks. Speedy wide receiver was Jordan Wiley’s favorite target in the Falcons’ high-flying offense, catching 43 passes for 808 yards and 9 touchdowns. He had four games with more than 100 yards receiving, plus a 135-yard rushing day against East High. An anchor for Liberty’s offensive line, which was the backbone for one of the section’s most balanced offenses: 2,227 passing yards and 2,442 rushing yards for the SWYL champions and D-I section finalists. A senior leader and captain for the best Patriots team in school history, Guerra was one bookend for an offensive line that sprung the likes of Anthony Mariscal, Jordan Love and Quincy Jountti. A prototypical Drillers road-paver, Guillermo was smaller than the average lineman but faster than almost all of them. He helped a team that didn’t have the luxury of a passing attack rush for 3,182 yards anyway. One of the emotional leaders of the Wolf Pack, James, a three-year starter, also was a physical force, paving the way for the powerful rushing attack and pitching in on defense when needed, too. Another of the Wolf Pack’s three-year starters on the offensive line, Martinez helped Ridgeview rush for 4,482 yards against what was easily the best schedule in school history. The rare full-time wildcat quarterback, Hill rushed for 1,151 yards and 16 touchdowns and threw for 384 yards, 5 touchdowns and no interceptions. Hill also caught six passes, the most of any Driller. The sparkplug for Ridgeview’s offense, White threw for 1,228 yards with 14 touchdowns and just 2 interceptions, and he ran for 1,033 yards and 11 more touchdowns. 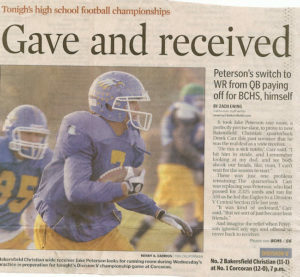 Oh, and he also caught a 30-yard touchdown pass and pitched in on defense when the Wolf Pack needed an ace cornerback. As consistent as they come in the kicking game. Converted four of five field goal attempts with a long of 48 yards and was successful on 94.5 percent of PATs (35 of 37). 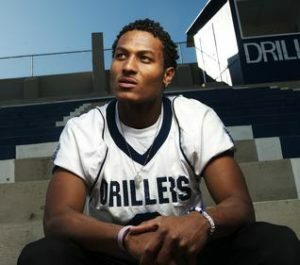 The spearhead of the Drillers’ dynamite defense, Brooks lived in the backfield despite frequent double-teams, racking up 60 tackles, including 9 for loss, during the regular season. He has six D-I scholarship offers, including from Pac-12 schools Arizona and Colorado. A bruising force for the Rebels defense that gave up just 8 points per game in Southeast Yosemite League play. Had 25 tackles, 13 tackles for loss, 11 sacks and four batted passes. This defensive end’s numbers are simply eye-popping: 135 tackles, 47 tackles for loss, 11 sacks, 5 forced fumbles. In one game vs. Taft, he had four sacks and six quarterback hurries. One of the area’s best pass-rushers, Solf blew up the backfield repeatedly for the 10-3 Patriots, accumulating 12 sacks and 9 tackles for loss among his 66 stops. A lack of size didn’t bother Zavaleta, who could power over offensive lineman or zip around them. His array of moves resulted in 7.5 sacks and 4 additional tackles for loss. An active sideline-to-sideline linebacker, Barnes had 130 tackles — by far the best on his team and the top total in the SWYL. Barnes, who has an early scholarship offer from Boise State, also forced five fumbles and an interception he returned 71 yards for a touchdown in a playoff game against Clovis West. Despite missing three games because of injury, Cullifer racked up 88 tackles, 6 for loss, in seven games. The returning first-team All-Area player also made an interception, forced two fumbles and recovered two fumbles. Forced to move full-time to linebacker when Croney arrived to play running back, Lopez shined, ranking second on the team in tackles and making three interceptions, including the one that sealed a Division II section championship victory against Dinuba. Second in the area in tackling with 153, including a whopping 44 tackles for loss, Solorio was the South Sequoia League defensive MVP and the linchpin of a defensive unit that carried the Titans to their first SSL championship. Physical safety was one of the Drillers’ leading tacklers and key cogs in a run defense that keyed many of Bakersfield’s nine victories with 28 forced turnovers. 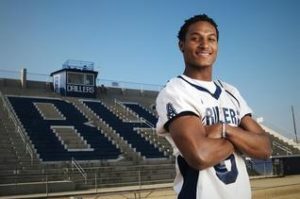 Twice in SWYL play, Hampton returned a fourth-quarter interception for a touchdown to seal a Drillers’ victory. He made four interceptions in all to go with a 24.6-yard kickoff-return average, a rushing touchdown and a receiving touchdown. With Mariscal, he formed the area’s most fearsome safety combination. Katsantonis was consistently disruptive, making 72 tackles and four interceptions, deflecting six passes, forcing a fumble and recovering two, including one he returned for a touchdown to key Liberty’s huge win at Mission Viejo. One of the area’s best on-ball defensive backs, Saba made two interceptions among his 10 passes defended. He also was a physical presence in the running game and was a big reason why the Golden Hawks defense rarely gave up a big play. 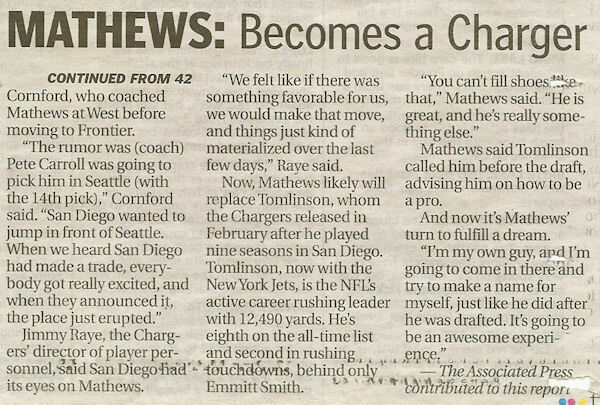 An impressive quarterback, Watters was even better as a punter. He dropped 16 of his 33 kicks inside the opponent’s 20-yard line and averaged 39.9 yards per punt. 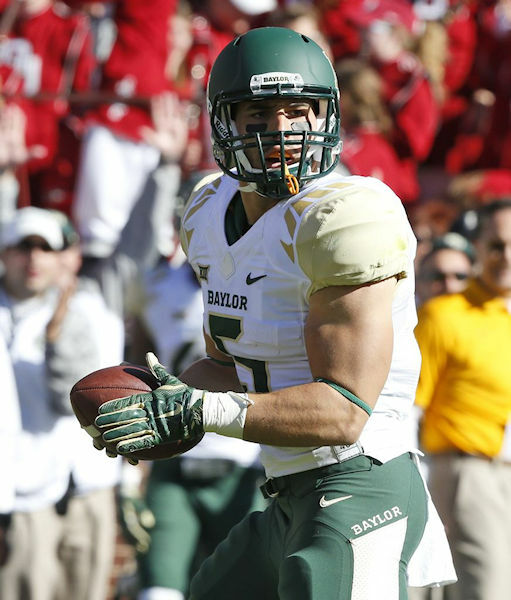 As a QB, Watters completed 60.9 percent of his passes for 1,574 yards, 12 touchdowns and 2 interceptions. L-R: Kern County Shrine Club president Don Pudiwitr, Golden Empire Youth Tackle Football executive director Ron White, and Kern County Shriner David Stevenson. The youth football league donated proceeds from its recent bowl-game event to the Shriners. Over a half-century, the Shrine Potato Bowl provided countless memories for football players and fans in Bakersfield and a sizeable financial boost for the Shriners Hospital for Children in Los Angeles. When the annual community college game ended several years ago, Golden Empire Youth Tackle Football executive director Ron White decided to try to revive it, in a different format, to continue to support the Shriners Hospital, and provide a stage for youth football as well. It got White to thinking. “Myself and a few other people approached the Shriners about the idea of bringing it back, and they were in agreement,” he said. The Shrine Potato Bowl started in 1948 as the first junior college football bowl game. It was consistently a big draw, including a crowd of 20,963 in 1990. In 2002, the Shriners Club chose to withdraw its sponsorship of the event because of increased fees by the state Commission on Athletics. The name of the event was changed to the Golden Empire Youth Shrine Potato Bowl when it was brought back in 2010 and has been going ever since. The event consists of four to five games between youth teams from Bakersfield and Santa Clarita, including a final game between all-area youth teams from both cities. It has been held at Garces and Independence high schools. Since 2010, the bowl has raised nearly $25,000, including $8,000 this past year to the Shriners Hospital for Children. “It’s very personal to me because as a young man I attended those games, I took my son to those games and you never want to see a staple of the community go away like that, so on a personal level it has meant the world to me,” White said of helping the Shriners Hospital. David Stevenson, chairman for the Kern County Shriners Club Youth Potato Bowl Committee, felt it was a good union from the start “because it does nothing but help kids all around. Whether it’s the kids getting to learn the skills in football or the kids in the hospital that are benefitting from the donations. For many fans of high school football and college football, following recruiting has become a way of life, and the first Wednesday in February has become Christmas morning. That’s tomorrow: National Signing Day, the first day of the period in which high school football players can sign binding national letters of intent to attend a specific college. For many of the top recruits around the country, it’s a day of drama, with different hats on tables and hidden T-shirts and even pets and tattoos. Garces offensive lineman Keoni Taylor (75) is expected to sign Wednesday with San Jose State as part of National Signing Day. In all, six Kern County football players are expected to sign with Division I schools Wednesday. Here in Kern County, though, National Signing Day has been less theatrical and more ceremonial. Even when a recruit changes his mind – like Ridgeview DB Shannon Edwards did last year, moving from UCLA to Fresno State – news is out before signing day. The most heralded recruit to come out of Bakersfield in the past decade was QB Cody Kessler, and he had to come back from USC to join his Centennial teammates at a “signing” party. That doesn’t mean tomorrow is insignificant, of course; it’s just that we know what to expect. Four schools are holding signing ceremonies tomorrow, and all of them include at least one Division I football player. 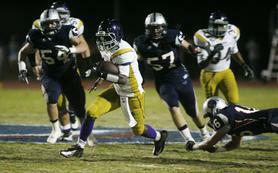 In addition, talented Stockdale running back D.J. Martin is expected to sign with Eastern Washington tomorrow, though Stockdale typically honors all of its Division I athletes at the end of the school year in one event. In addition, several former Kern County prep athletes signed with teams out of junior colleges: QB Brian Burrell (Fresno State), TE Mike Dunn (Fresno State) and DB Mercy Maston (Boise State) out of Bakersfield College; and QB Tyler Ferguson (Penn State) out of College of the Sequoias. LONDON — Bakersfield’s Jake Varner is an Olympic wrestling champion..
On the final day of competition at the 2012 London Olympic Games, the Bakersfield High graduate claimed the gold medal in the 96-kilogram division with a comprehensive victory over Ukrainian Valerii Andriitsev. He said he planned to celebrate the fulfillment of his lifelong dream by “going out for some chocolate milk” with his parents, girlfriend and a few close friends who came to watch him. “I just want be around the people I love right now — just enjoy it as long as I can. It’s exciting to have my family with me and I can go out spend the night with them,” said Varner, whose father, Steve, a wrestling coach, got him involved in the sport.. He added that all the support he has received from Bakersfield has meant a lot to him. Varner, who was a two-time national champion at Iowa State, also became a lot wealthier with his victory. He collected a $250,000 bonus from the Living the Dream Medal Fund that supports American wrestling. Coming off a bronze medal at last year’s world championship, Varner came into these Games with a laser-like focus on the gold medal — insisting that everything else about the Olympic experience was of minimal importance to him. And he had to wait until the very end of the two-week Olympiad for his chance to shine.. Still, there were quality opponents for Varner to battle, starting in the first round with veteran Kurban Kurbanov, the Asian champion from Uzbekistan. After a scoreless first round, tiebreaking protocol was followed with a red ball and a blue ball placed in a bag. Varner had to choose. He got red, which put him in an advantageous leg clinch position. Kurbanov had to defend for 30 seconds to win the round, but Varner threw him out of the ring for a point within seconds. Kurbanov won the second round on a slippery maneuver but Varner got a quick takedown in the third and defended the rest of the way to advance to the quarterfinals. Sanderson said he was particularly pleased with how Varner won by sticking with their game plan and not panicking..
“We wanted to push the pace and make conditioning a factor and I think he was able to do that,” said Sanderson, who won gold at the 2004 Athens Olympics and went 159-0 wrestling at Iowa State for four years. The semifinal was dramatic against George Gogshelidze of Georgia — a 32-year-old former world champion and bronze medalist from Beijing. Varner was dominated by his opponent in the first round, losing 2-0. The second round was scoreless, meaning another random choice of red or blue ball with Varner’s Olympic Games hanging in the balance. Once again, luck was on his side as his opponent grabbed blue, putting Varner in charge..
“It came out blue and luckily that was my color. I know how to score so I just went in there and did what I could do,” said Varner, about the good fortune of the random ball grab going his way..
Sanderson said it was a “huge win” for Varner. After Varner made the final, the Iranian powerhouse Yazdani went down with a serious knee injury and could barely stand up against Andriitsev, who beat him easily. Yazdani was taken away in a wheelchair and the path was clear for Varner to face Andriitsev, who was second in the European Championships this year and is a former junior world champion. “He won dominantly,” said Sanderson of the championship match, noting how Varner won using his special ankle pick over the Eastern European. “He was controlling the periods and the tie-ups. He’s awesome. He just likes to compete. He’s the same whether it’s the Olympic finals or any match. And that’s one of the reasons he’s so good. U.S. Olympic team coach John Smith was also effusive in his praise for Varner. As for his wrestling future, Varner said he has yet to think about it. As Bakersfield Mayor Harvey Hall listed the accomplishment’s of this year’s Mayor’s Trophy recipient Wednesday night in the Harvey Auditorium at Bakersfield High, Silas Nacita sat up in his chair. Nacita had no idea he was about to become the 36th winner of the award, given annually to Bakersfield’s top senior student-athlete as measured by athletic, academic, leadership and community service qualities. 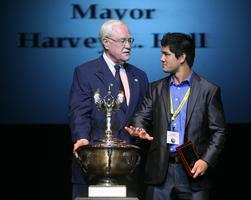 BHS’ Silas Nacita asks mayor Harvey Hall for permission to touch the Mayor’s Award trophy after being named the 2012 recipient of the honor during the PEAAK Awards ceremony held at Harvey Auditorium on Wednesday night. Nacita played running back and defensive back on Bakersfield High’s varsity team for three years, helping the Drillers to a 2010 Central Section runner-up finish and the 2011 Division I championship. He also was a two-time state medalist in wrestling, including the 170-pound silver medal this year. He was first-team All-Area twice in each sport and also picked up diving on a whim last month with three weeks left in the season: He narrowly missed qualifying for the section finals. Nacita also was the BHS senior class vice president, the school’s Fellowship of Christian Athletes president and a two-year captain in both football and wrestling; he’ll play football at Cornell University..
Nacita volunteered for a number of community organizations, including the Special Olympics, Relay for Life, Great American Clean-Up, Bakersfield Homeless Shelter and Jesus Shack. Other finalists for the award were: Patrick Farley, Garces; Matthew Huckaby, Bakersfield Christian; Lucy LaFranchise, Liberty; Harmandeep Manku, South; Cameron Miller, Stockdale; Ka’ylee Moyer, North; and Adrianna Salazar, West. The Mayor’s Trophy was presented at the beginning of the second PEAAK (Promoting Excellence in Athletics and Activities in Kern) Awards ceremony at BHS. Other notable winners included Best Male Athlete Chris Hannible, BHS; Best Female Athlete, Meghan Shain, Frontier; Best Sportsmanship, Isaac Lopez, Ridgeview; Play of the Year, Javier Kirksey, Ridgeview; Best Male Student-Athlete, Ryan O’Leary, Highland; Best Female Student-Athlete, Brooke Dickens, Stockdale. 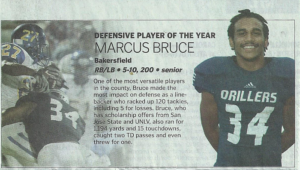 Bakersfield High quarterback Chris Hannible is The Bakersfield Californian Football Player of the Year. Pressure, Chris Hannible has discovered, is nothing when mixed with talent and a lot of preperation..
Sure, Hannible had the unenviable task of replacing three-year starter Brian Burrell as Bakersfield High’s quarterback. But it didn’t take him long to realize he could make it work. Did he ever. In Bakersfield’s triple-option offense, Hannible threw for 1,541 yards, 20 touchdowns and just 4 interceptions, and he ran for 1,239 yards and 22 touchdowns. Most important, he led the Drillers to a 13-0 season — the legendary program’s first unbeaten run since 2001 — and their record 35th Central Section championship. For that, Hannible is The Californian’s All-Area Football Player of the Year. Of course, Golla had more than an inkling his offense would be OK with Hannible taking over. 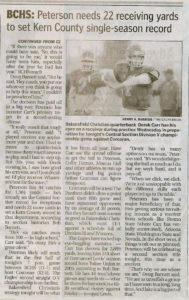 Rewind back to the 2010 section playoffs, when Hannible would stay after practice and zip around passes for the scout team, doing a passable impersonation of Centennial’s All-American quarterback, Cody Kessler. And the Drillers needed that quality during several sticky spots during their unbeaten run. First, at Frontier, the host Titans erased a big deficit to tie the game 35-35 late. Bakersfield’s Kevin Elijah — The Californian’s Defensive Player of the Year — made an interception with less than two minutes left, and Hannible did the rest, running the ball in for the winning touchdown. More notably, with Bakersfield facing a 42-21 deficit and the premature end of its season in the section quarterfinals against Centennial, Hannible went to work. He was 6-of-7 for 154 yards and two passing TDs and ran the ball six times for 42 yards and a touchown in Bakersfield’s frantic comeback, including two perfectly placed deep balls to Kevin Hayes for the tying and winning touchdowns in a 49-42 victory. Hannible was more of a game manager in a semifinal victory against Clovis — the Cougars took away his lane to run in the option, so he handed off to fullback Silas Nacita 16 times for 153 yards — but he was back to his explosive self against Bullard, throwing for 154 yards and running for 98. Hannible, who has moved around Bakersfield with relatives because of an unstable family situation, is waiting on first-semester grades to come in before he’s certain he’ll qualify academically to play in Division I college ball. “Football has been everything to me,” Hannible said. “I’ve played since I was 8 years old, and it helps me a lot. If Hannible does continue his career at a four-year school, there is plenty of interest from Fresno State (as a safety) and Nevada (possibly as a quarterback). If that route doesn’t work, he’ll likely play at a junior college near you. “It really doesn’t matter; I’ll play anywhere,” Hannible said. Wherever he lands, be assured that Hannible plans on making an impact. “He wants to compete, and when he understands what he’s supposed to do, he’s going to get it done,” Golla said. 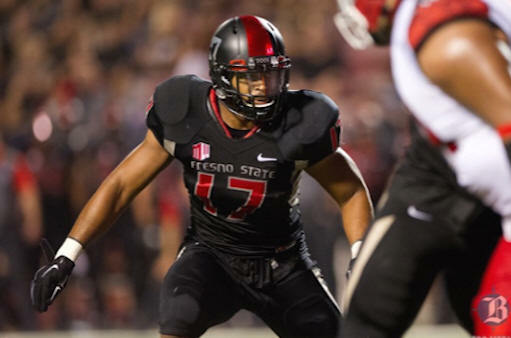 “He’s a lot like (Fresno State standout safety and former Driller) Phillip Thomas. He’s extremely intelligent and he understands the game. With Golden Empire Youth Football & Cheer, Athletes Excel On and Off the Field. 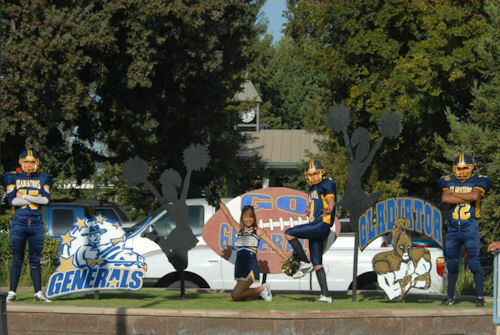 BAKERSFIELD, Calif. (CSD) – Golden Empire Youth Football and Cheer is a home-grown organization. And has it ever grown! The program was launched in 1998 by current Executive Director Ron White and 14 other board members, and it now includes 2,300 football players and cheerleaders, plus 400 coaches and countless volunteers. “We’re one of the largest high school feeder programs in the state,” said White, a former East Bakersfield High School player who went on to play at Porterville Junior College. “High school coaches see us as a huge benefit for them because we develop these young men and women, and use the high school’s philosophies, fundamentals and techniques. Golden Empire Youth Football games are played on local regulation high school and collegiate fields. Currently, the organization has 15 geographic programs inclusive of four divisions: freshman level (ages 7-9), sophomore (10-12), junior varsity (11-13) and varsity (12-14), with rosters of approximately 30 players each. Each team plays a minimum of seven regular-season games, followed by playoffs that are similar to the structure used by the NFL. In recent years, Golden Empire Youth Football and Cheer has been represented by 10 teams that have earned championships, including three last year, at the National Youth Football Championships in Las Vegas. White said that Golden Empire Youth Football and Cheer would not exist were it not for the tireless work done by volunteers. “The strength of our organization is volunteer coaches,” White said. “We also have 22 men and women on our board who are professionals in the community, and they give much of their time to make this work, including some as coaches. We coach a lot of at-risk kids and give them the type of structure they need in their lives. And for families that are struggling financially, we offer the Community Athletic Scholarship Program. Tryouts are held in early March and full-contact practices begin in July. The season runs from early September through mid-November. 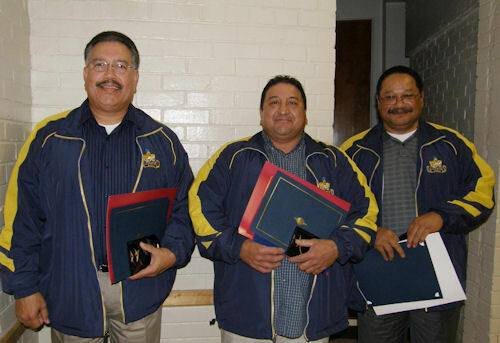 Those interested in learning more about Golden Empire Youth Football & Cheer may visit www.geyf.org or call 661-837-GEYF. POISED TO TAKE OVER FOR L.T. 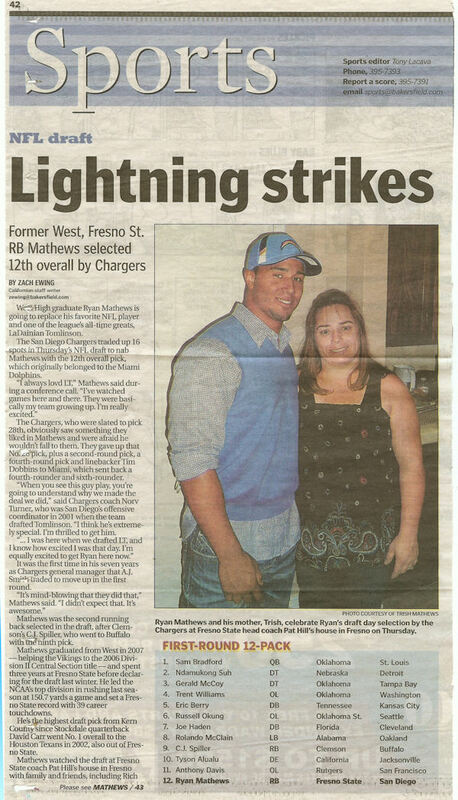 Former GEYF Tomahawk player and West High Grad Ryan Mathews was recently selected by the San Diego Chargers in the First Round of the 2010 NFL Draft. Ryan is poised to take over for future NFL Hall of Fame Running Back& Ladanian Tomlinson. Ryan is a perfect example of what hard work and dedication can bring to those who dream of one day playing football at its highest level. We are all very proud of Ryan as well as the GEYF Tomahawk coaching staff that helped develop such a fine young man. 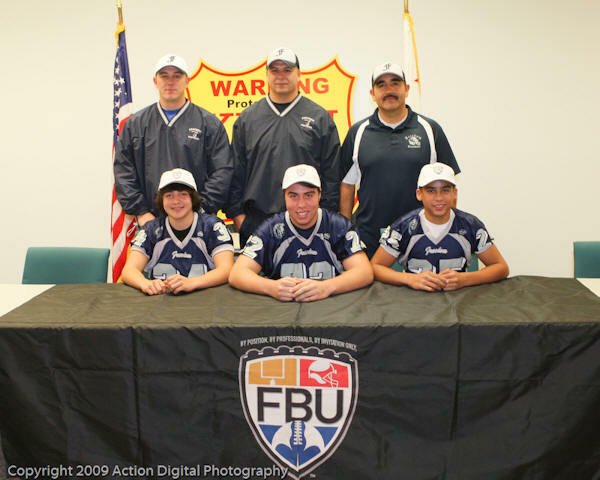 Colton Foster, Anthony Mariscal, and Justin Nieto have been selected to represent Golden Empire’s Far west Freedom Football Program in the 2009 FBU U.S. ARMY YOUTH ALL AMERICAN BOWL. The game will be played in the Alamodome in San Antonio Texas on Sunday January 10, 2010. Colton, Anthony, and Justin were selected as three of the top youth football players in the nation.It is quite an honor to have these three fine young men represent not only Golden Empire Youth Tackle Football, but our Bakersfield Community as a whole. The following Photos of the U.S. ARMY ALL AMERICAN SELECTIONS, GEYF Board Members, and Coaches.were taken during the U.S. ARMY BOWL SELECTION PRESENTATION Press Conference held at Kern Security on Tuesday 12,15,2009. From national teams to those at the club level, athletes around the country are wearing pink and recognizing Breast Cancer Awareness Month. My son plays for a Golden Empire Youth Football team, Freedom’s Freshman team, and after practice one evening he approached me with some pink shoelaces. He explained to me that a parent donated them to the team, to be worn for the next few games. I knew why and this gave me an opportunity to explain to my son why. Throughout October, NFL athletes have been wearing pink during games. Brett Favre, Larry Fitzgerald, Drew Brees and many other NFL stars will wear pink cleats and other pink-colored gear during games this weekend as the league supports October’s National Breast Cancer Awareness Month. Jessica Ramirez, a Freshmen Freedom football parent, may have seen the NFL players doing it on the field and thought what a great idea for our football team to do as well. She invested in pink shoelaces and donated them to the team. The pink laces have been proudly worn by the Freshmen Freedom football team during the month of October. This has been a great way to educate our youth and get them actively involved in supporting cancer awareness. Many of our families have been affected by breast cancer and many people know someone who has been affected by it. Freshmen Freedom football has something in common with the NFL and now breast cancer awareness. This is a really cool idea to unite the nation’s sports and it’s athletes, at all levels of the playing field, and bring awareness to breast cancer. How wonderful for our area’s youth athletes, as well as national athletes, to support awareness for such a worthy cause. Every once in awhile a player comes along that is destined for greatness, both as an athlete and a human being. That individual is Steven Roberson. I had the distinct pleasure of coaching Steven as a member of the 2005 Golden Empire Varsity Wolverine Conference Championship Team. To be honest I’m sure I actually learned more from Steven than I was ever able to teach him. As an extremely humble, unassuming and hard working player, I could think of no one better to not only represent Golden Empire, but the United States in this international competition. Jake Peterson and Christian Taylor are outstanding young men both on and off the football field. It was really a blessing to have the opportunity to coach and help mold these young athletes. Both Jake and Christian led the 2004 Varsity Wolverines to the Conference Championship Game and went on to help bring Bakersfield Christian High a Valley Championship. Jake and Christian proudly represents not only Golden Empire and Bakersfield Christian, but the whole Kern County Community. We look forward to big things from both these young men in the near future. Oak Grove football standouts Mark Forrest and Aaron Huck made oral commitments to attend Nevada on Wednesday night. The pair have been friends since before grade school – their fathers Mark Forrest and Rick Huck, an Oak Grove assistant coach, played football together at San Jose State. “At the beginning of the season we talked and said ‘Whoever is recruiting us – we have to tell them it’s a package deal,'” said Forrest, a 6-foot-7, 205-pound linebacker, who is expected to move to defensive line in college. Right tackle Huck took his recruiting trip to the Reno campus last weekend with his father. Forrest, who is also a standout basketball player, underwent two knee surgeries during his sophomore year and decided football was his best bet in college. 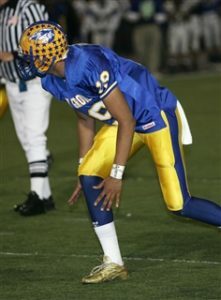 He also received scholarship offers from Fresno State and Wyoming. 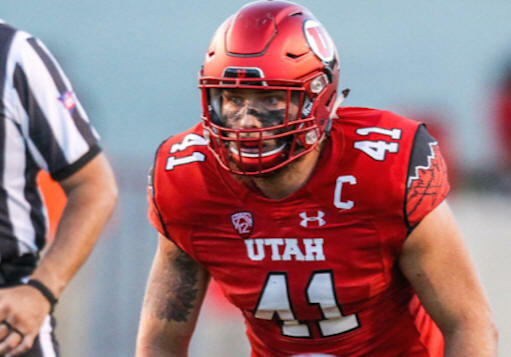 “My knees just couldn’t handle all the jumping in basketball, so football was actually easier on them,” said Forrest, who had 13 sacks and 65 tackles this year. The Golden Empire Youth Football League, which has grown to 1,700 players on 56 teams with 350 coaches and 500 cheer participants Ã¢â‚¬â€ one of the largest independent youth football and cheer organizations in the state and will be celebrating its 10th season this year. Although tryouts were in March, many teams are still accepting players. The season will get jump-started in August with the “Kickoff Classic,” festive, carnival-like day at Garces High that will include team scrimmages. The following is an informational background of Golden Empire Youth Football League, which was founded in 1998. Financial aid — GEYF offers the Community Athletic Scholarship Program. Participants who need assistance to participate in the league may apply for help with registration costs. Golden Empire never turns a player away in need of financial assistance. * GEYF mission: To provide a competitive youth tackle football and non-competitive youth cheer program for local elementary and junior high school students. The primary goal of this organization is to provide a training ground for the basic fundamentals of youth football and cheer, to develop sound mind, body, and character and first and foremost to have fun. * Structure — GEYF is governed by a volunteer board of directors comprised of 22 local men and women. Awards — GEYF just received a 10 year Commitment To Youth Award from the Kern County Superintendent of Schools. Courtesy of the Shafter Press/ Reed Print Inc.
Shafter Youth Football program was the recipient of the Youth Development Award at the 60th Annual Shafter Chamber of Commerce Awards dinner. This award was given in part for the positive impact that this program has had in the community. Operating on program fees and donations, over 115 young people are given the opportunity to play football yearly. The countless hours of volunteer time put in by the Board and Coaches was recognized also. 2019 Football Camp is Coming Soon! !